Each year, the Australian economy is losing billions of dollars due to work-related injuries and illnesses, indicating the growing connection between business profitability and workplace health and safety. The staggering annual loss is a wakeup call for companies to put safety culture and emergency planning initiatives high up on the priority list. While there are various approaches organisations can take, providing first aid training remains as one of the most effective ways to drive a company’s safety message across. Whether the workplace is a healthcare facility, a hotel, an office, or a construction site, employees are still exposed to risks and hazards. Companies have the legal responsibility of ensuring that personnel remains safe from these risks by providing safety training and awareness. The first thing about providing first aid training for all employees is that it is an obligation with which a company must comply. It is not a privilege nor a reward given only to a handful of staff. There are serious and crippling consequences of non-compliance, such as fines of up to $3 million and reputational damages. Hence, more and more companies are investing and seeking the help of professional training providers to meet this requirement. While it is important for companies to fulfil this legal obligation, some may forget that the primary purpose of the providing this training is to promote safety in the workplace. There is more to safety awareness than just a full day of training. Training only guarantees that personnel will know how to provide basic assistance to victims during a medical emergency. Management’s full support is imperative to achieve a comprehensive and sustainable occupational health and safety campaign. This way, the emphasis on safety is not only felt during training sessions but every day at work. Emergency planning is not just about safely evacuating employees when emergencies strike. The plan must outline pertinent information about first aid guidelines – how employees can provide primary assistance to victims until professional medical support arrives. The plan, including appropriate first aid training and equipment, should be based on the specific conditions of the workplace and its environment. According to the Work Health and Safety Act (WHS Act), the following risk management approach must be taken for emergency and safety plans to be implemented successfully. Planning for emergencies begins with spotting possible risks and hazards in the workplace. The absence of conspicuous threats in the surrounding doesn’t equate to a risk-free facility. Companies that aim to prioritise the health and safety of their employees may consider hiring experts to ensure that all hazards and risks are identified and classified properly. Just because there’s an existing first aid guideline in your emergency plan doesn’t mean it all ends there. Companies must regularly review the document to check if it’s updated and still addresses the safety needs of employees. This practice is also crucial particularly when moving to a new facility or making changes to infrastructures. Emergencies can happen at random and cause severe devastations to organisations without proper preparation. With the rising threats from civil disturbances, natural calamities, terrorism, and medical emergencies, the need to empower employees to protect themselves and each other is important now more than ever. Employees are not expected to become experts at conducting rescue operations. 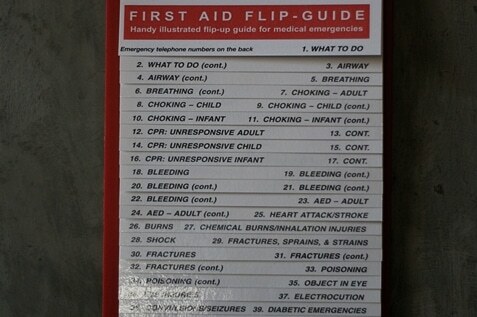 At the very least, they should have the basic knowledge and skills to perform first aid when the situation requires. Bleeding, anaphylaxis, asthma attack, heart attack, fainting, and burns are just some of the most common injuries and emergency conditions people may encounter at work. Some of these may seem simple and harmless, but without proper first aid, they could lead to more serious, life-threatening medical emergencies. 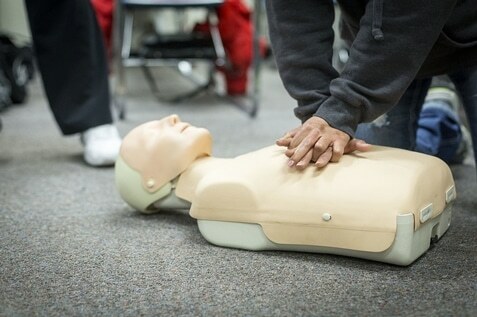 With employees empowered with first aid knowledge, they can actively participate in making efforts to save people’s lives, instead of being mere bystanders during emergency situations. Knowing what to do and who to turn to during emergencies also reduces panic, chaos, and the likelihood of making wrong decisions in these stressful times. Safety is not a one-man job. It is achieved through the collective efforts of employees, company owners, management, the Government, building owners, and communities surrounding the facility. Each of these has specific roles to play and contributions to ensure people’s lives are protected and that facilities are free from risks. Workplace first aid training is a prime example of this collaboration. This investment, as small as it seems, can draw the difference between life and death in the face of emergencies. Alsco would like to thank Evac Group for this article. Evac Group is Australia’s premier emergency compliance company specialising in face-to-face and online training and compliance. 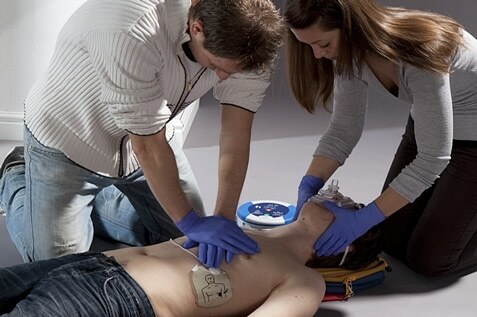 Train your employees to become prepared for any medical emergencies without any fear and difficulty. Ask Alsco today about their Managed Training Services.